And then call for the club in question to sack him. They obviously haven't considered the legalities of sacking somebody for refusing to wear a charitable emblem. I had until this time respected this Facebook group and also followed them on Twitter but as soon as I commented on their post I “unliked” and left the group. Whether to wear a poppy or not comes down to personal choice and should not be dictated by the minority or even the majority. The moment that it becomes a sense of social duty to wear a poppy the poppy itself loses all of it's meaning. 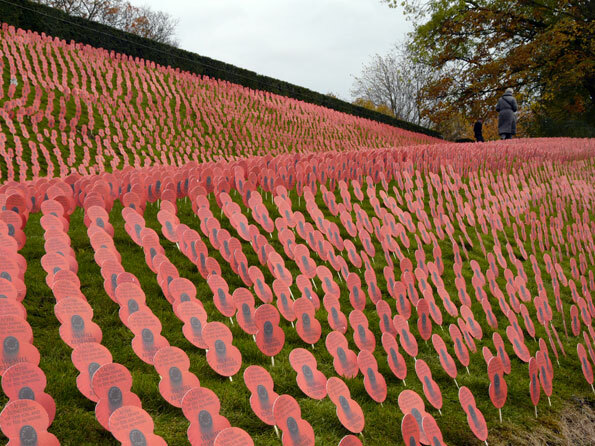 A poppy is meant to reflect an individual's personal remembrance of the fallen from all the wars. In my opinion it is not only meant to remember those of British origin who have lost their lives. No doubt the Facebook group fails to recognise the work done by members of other nations Armed Forces as part of the British Nation. In my mind poppies represent respect and remembrance for all those who have fought and fallen in order to save their way of life. Be they British servicemen killed in Afghanistan; German soldiers killed in the World Wars or even members of the Zulu nations in the late 19th/early 20th century conflicts. After spending 2 years of my life on tour as part of the British Army I have lost several friends and I am sure that like me they did not fight for people to be forced to wear poppies. Unfortunately today I am choosing not to go to the remembrance ceremony that I usually attend in Barnsley Town Centre. I instead shall be watching it on BBC TV. Does this make me Anti-British too? If people choose to feel that way then so be it. As it happens my 5 year old son is doing his favourite impression of Satan this week and it would be selfish of me to go up to the war memorial and leave my wife to cope with the situation alone (well…she would have the dog). I normally got for a few pints afterwards with my neighbour to celebrate the lives of fallen friends as is tradition. I’m sure those have fallen will understand my decision to stay at home and support my wife. As of yet I haven’t even bought a poppy this year. Does this mean that my employer should also sack me (ok, I’m self employed so that doesn’t count). As it happens I like to buy my poppies from a certain old veteran that stands in the centre of Barnsley each year as he is a pleasure to deal with. The fact that I haven’t seen him yet would mean nothing to this Facebook group. I have however purchased a British legion t-shirt and car sticker which are both still in their wrappers but the poppy watchers will not see this. I wear poppies throughout the year. When I am having a bad PTSD day or to commemorate a certain anniversary. A have a many poppies placed throughout my home and I often get weird looks from people when I wear a poppy in March. No doubt they want to know why I am wearing a poppy when it is not November. 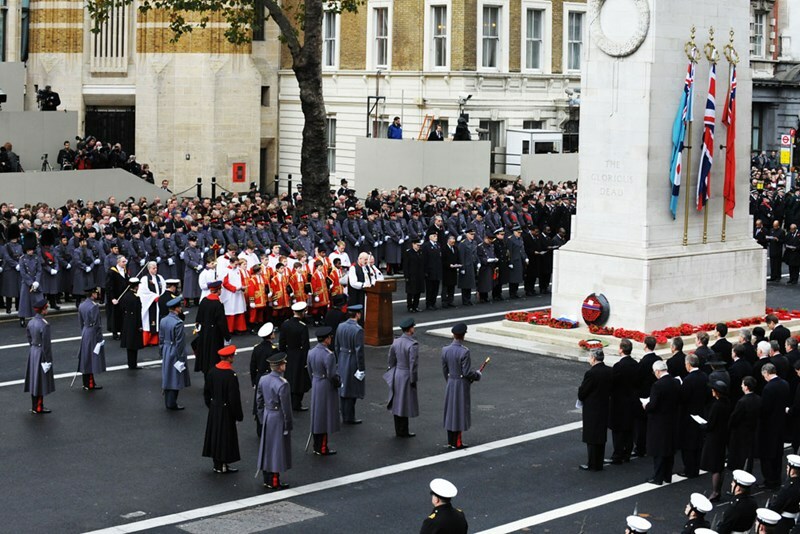 An act of remembrance is not just for November: it is one that can be carried out anytime to show that we are remembering the fallen. Are poppies losing their meaning? When the wearing of poppies becomes a social task and something that one thinks they should do because that is what is expected of them then it loses it's meaning. This year as Mark Ansell tweeted a Barnsley Veteran will no longer wear poppies as he believes that MPs have hijacked the who thing. After watching the video feed I have to agree with his sentiments that the wearing of poppies is becoming the expected thing. I do not agree with him regarding MPs hijacking the occasion but then I believe that unless one has suffered human loss due to war then they can never understand and can only sympathise with those who have. So is it Anti-British not to wear a poppy? Well… you decide. My opinion in that it is neither ant-British nor dis-respectful. There may be many reasons why people are not or don't wish to wear a poppy and I along with many many others fought for the right for the individual to make that choice all by themselves. Well said John. I agree, and might I add that making a choice whether to wear a Poppy is symbolic of the freedom that our servicemen fight and have fought for. Today I chose to attend the memorial service in the village where i live. I also chose to wear my grandads medals (on the right hand side). I chose not to sing hymns or say their prayers. I simply chose to remember my ancestors and friends, and their comrades too, who have fought, died, lived and most of all suffered in wars both past and present.